Tous Les Garçons Et Les Filles is ranked as the best album by Françoise Hardy. Members who like this album also like: The Velvet Underground And Nico by The Velvet Underground And Nico, The Doors by The Doors and Revolver by The Beatles. 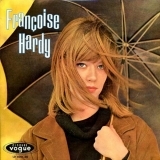 Related links: top tracks by Françoise Hardytop tracks of the 1960s, top tracks of 1962. Showing latest 5 ratings for this album. | Show all 78 ratings for this album.